The Great Goatdini | Ah The Things I've Done! I woke to the alarm this morning at 6:00, and made my way down the hall to William’s room to roust him for the day. Along the way I looked out “the goat window”…(formerly known as the chicken window, and later the dog window, perhaps it was even once called the hall window as well, but that would have been decades ago)…to see if the Stetson Ape had been along in the night, and tore down my goat proof fence. At first glance, everything seemed fine. The dogs were living out their never ending Wednesday routine…(think about it. It’ll come to you…Got it yet? Give it a minute. )… and the goats were sleeping in a pile. Well sort of anyway. Billy and Smeck were in a pile, up against the fence, and Kramer was touching the pile through the fence. “Hold on! I’m up! Jeeze! I’m up! See? 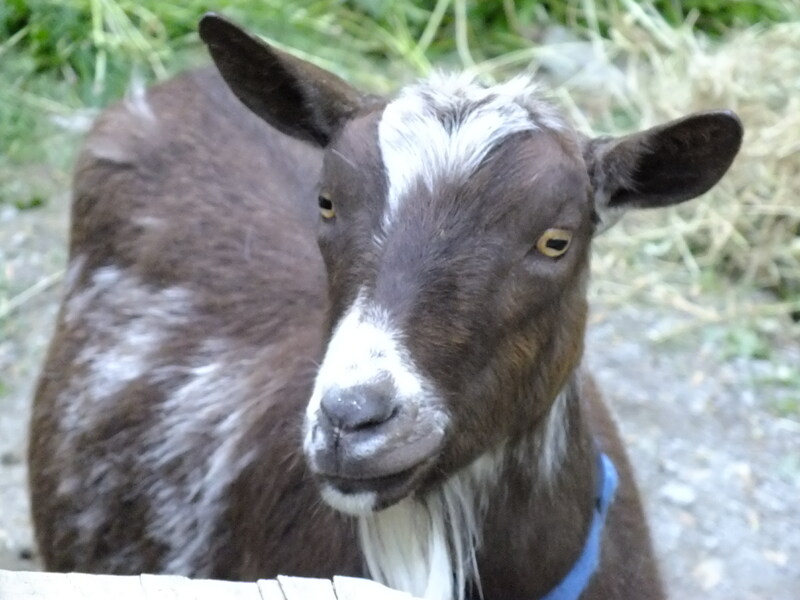 Relax!” He ran past me and jumped into the shower, before I could change my mind, and make him help me “HEP!” the goats. He looked at me, and he looked at the raspberry bushes beside us. Then he looked at me again. Then he looked through the fence at Smeck who was demanding that I release him at once, or suffer the consequences. Then he looked past me at the bin where the grain is stored. So now he is back in with the other two, demanding to be released. I have GOT to figure out how that goat keeps getting out! I’ve looked along the entire fence, and for the life of me, I am stumped!